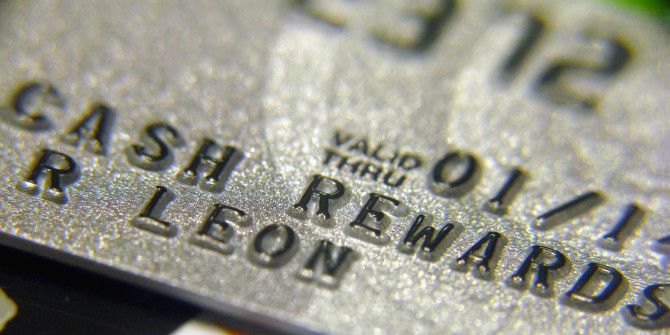 Credit cards, if you use them correctly, can net you a lot of rewards. Big signup bonuses, cash back, rewards programs, and loyalty discounts can combine to save you hundreds or thousands of dollars a year. But to exploit these deals, you need to know where to look for them. Here are 10 sites that will help you find the best credit cards for you and then maximize what you get out of them. 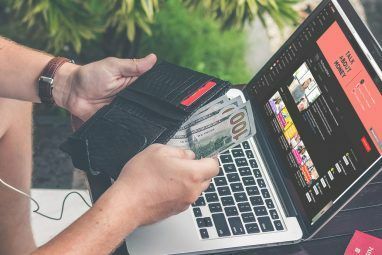 The best credit card deal may well depend on what you’re looking for—maybe you want bonus airline miles, maybe you want cash back The 7 Best Cashback Sites to Save Money When Shopping The 7 Best Cashback Sites to Save Money When Shopping Cashback sites enable you to earn back money as you shop, allowing you to stretch your shopping budget even further. Read More , and maybe you want a low interest rate. NerdWallet’s credit card rankings splits cards into groups based on which area they’re strong in; so you can look at the best hotel credit cards, the best small business credit cards, the best no-foreign-transaction-fee credit cards, or one of many other different categories. With an even larger selection of different types of credit cards than NerdWallet, Bankrate provides a fantastic resource if you’re looking for good credit card deals. Each credit card is listed with its advantages, intro APR, standard APR, annual fee, and credit needed. You can also filter by the card issuer and the required level of credit How to Improve and Monitor Your Credit Score by Using Technology How to Improve and Monitor Your Credit Score by Using Technology Your credit score can have a huge influence on your financial life. We explain how it's calculated and and how you can improve it. Read More ; this is great if you know that your credit is good, but not excellent. This massive guide contains The Simple Dollar’s rankings for best rewards cards for the year, and advice on how to maximize your rewards when using those cards. By taking full advantage of the cards listed on this page, you can come up with a huge amount of rewards, both through sign-up bonuses and ongoing airline miles and cash back. Especially important is the Golden Rule of rewards credit cards: don’t carry a monthly balance. If you want to get rewards fast, then looking for a card with a great signup bonus is the way to go. 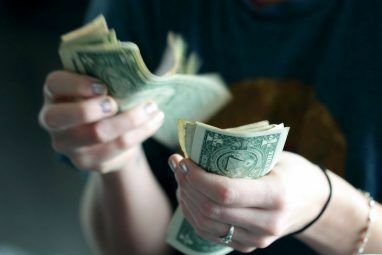 NerdWallet continues its fantastic coverage of credit cards with a great guide to cards with the best signup bonuses. They cover cards with travel rewards, free hotel nights, and free flight bonuses, and tell you how to take full advantage of those rewards. If you start to find yourself with too many credit cards in your wallet, try a digital wallet 8 Things You Probably Didn't Know About Digital Wallets 8 Things You Probably Didn't Know About Digital Wallets Digital wallets are billed in most tech circles as the future of real-world payment technologies. Read More —it’ll help keep your cards organized without making your wallet or purse bigger. This list is updated regularly, so you can always be sure that you’re getting the most current information on which credit cards offer the best signup bonuses. Sometimes they’ll be airlines miles, sometimes you’ll find credit rewards, and sometimes you’ll find zero-interest introductory APR. It’s a good page to check regularly. Although CreditCards.com only offers information on cards from their affiliate partners, they have a lot of partners, so you’ll be getting a wide range of types of cards. Their top offers page gives you the details on their picks for the best cards in a variety of categories, like airline, gas, 0% APR, points, and no annual fees cards. This blog is focused on helping you get the most out of your British Airways rewards cards (though their rewards scheme, Avios, can also be used with a number of partner airlines as well). The writer of the blog, Raffles, is extremely talented when it comes to maximizing Avios, and you’ll find all the information you could want on getting the most out of your BA cards. With a focus on travel in general, instead of just Avios, you’ll find credit card reviews, current promotions, a rewards maximizer tool, and a wide range of different topics that will help you get the most from your rewards credit cards. The TPG Maximizer helps you choose which card to use on different types of purchases to get the most airline miles possible, and claims to have saved users of the tool an average of $995. It’s free, and definitely worth a shot. With a focus on getting the maximum amount of rewards out of your credit card bonuses, Frugal Travel Guy will alert you to good redemption deals and limited-time signup bonus offers as well as providing good advice to make travel more affordable. Their Top Travel Deals and Rookie Guide sections are a great place to start, and their list of best rewards cards can help you make a decision on which card to apply for. Redhead Roamer has a great series on amassing and cashing in on rewards points. The first post covers the basics, the second post discusses some specific redemption programs, and the final post talks about how to maximize your rewards. If you’re new to the credit card rewards scene, this is a great place to start. 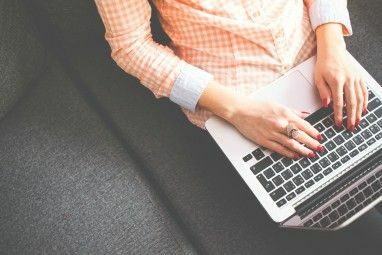 These sites will help you find the best credit card deals on the Internet, whether you’re looking for signup bonuses, low interest rates, or redemption programs. By applying for the right cards at the right times, you can reap a lot of rewards. Just be sure not to go overboard, or your credit score Instantly Find Out Your Credit Score Free of Charge With Credit Karma Instantly Find Out Your Credit Score Free of Charge With Credit Karma Read More might suffer (though remember, you can use technology to help manage it How to Improve and Monitor Your Credit Score by Using Technology How to Improve and Monitor Your Credit Score by Using Technology Your credit score can have a huge influence on your financial life. We explain how it's calculated and and how you can improve it. Read More ). And don’t forget that you can collect rewards from other places, too—try using the Bing rewards program Get Paid To Search With The Bing Rewards Program Get Paid To Search With The Bing Rewards Program Google is king, but Bing is pushing its case. The Bing Rewards Program helps you earn credits while you discover the Web. It's a simple way earn little rewards for your browsing. Read More to get even more rewards while you’re looking for credit card deals! Explore more about: Credit Card, Personal Finance.